Click here to hear Tony singing "You Are So Beautiful To Me" from the Viviano Variety Show 11-21-15. 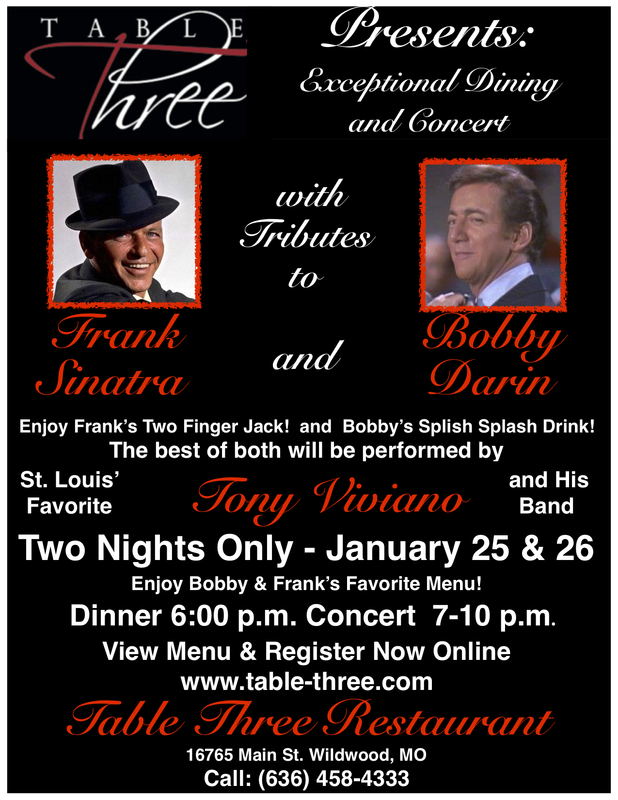 Tony's Outstanding Tribute (Sold-Out Performance) To Bobby Darin - Click here to read about this! Tony talks about his favorite Italian food in St. Louis Magazine - Click here to read about Tony's favorite food! Defined in our imagination by the artistry of Sinatra, Bennett and Tormé, lounge singers of the old school are getting harder to find. 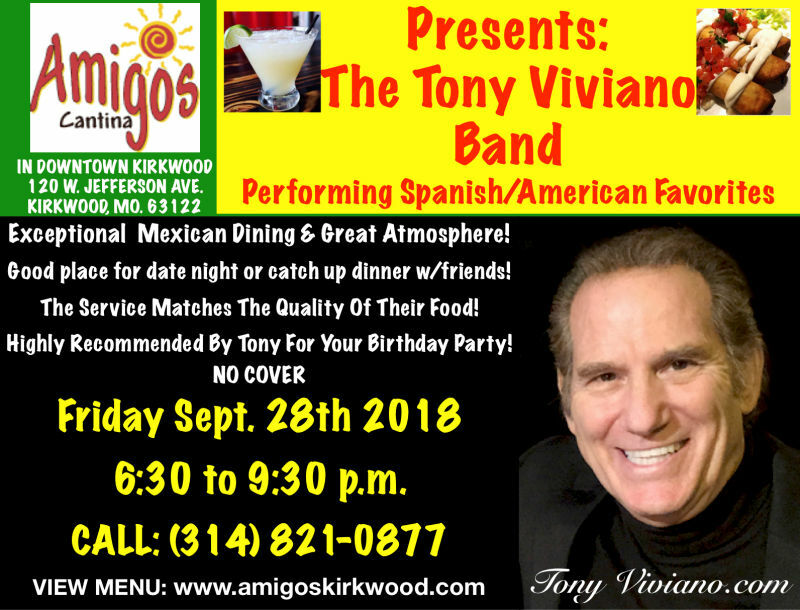 Tony Viviano, a genial gentleman who carries on the fine tradition of Italian-American popular vocalists, knows how to interpret the classics, how to work a room and how to hire good musicians. At its most basic level, lounge singing is about connecting with people on a curiously intimate level, and the personable Viviano proves that the classic mix of style and sentimentality, while certainly endangered, is far from extinct." Those are not our words or web site hype - they're excerpted from the St. Louis Riverfront Times when Tony was voted the Best Lounge Act in 2003! 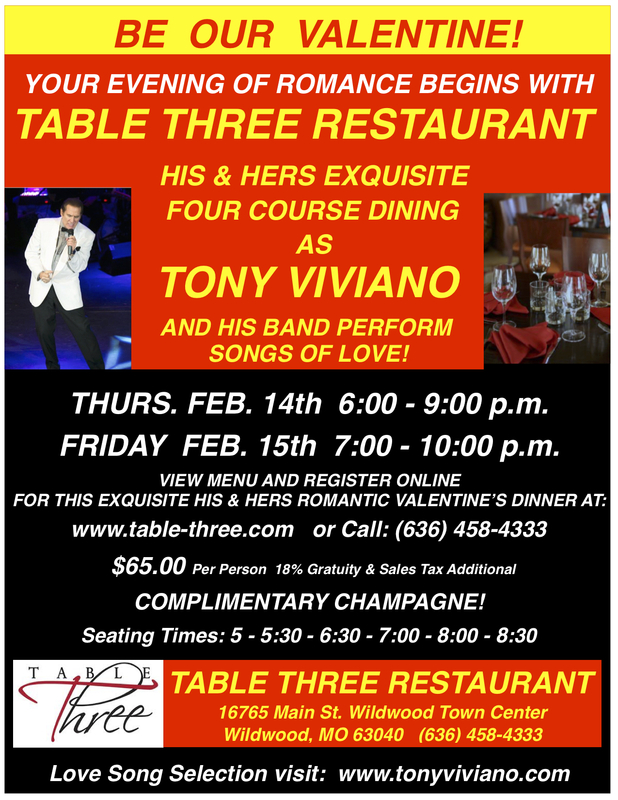 Tony was described in another newspaper review as "Tony Viviano has the energy of Motown and the finesse of Sinatra. He can seize an audience and hold them captive for hours. No one can deny the charismatic touch the crooner possesses". 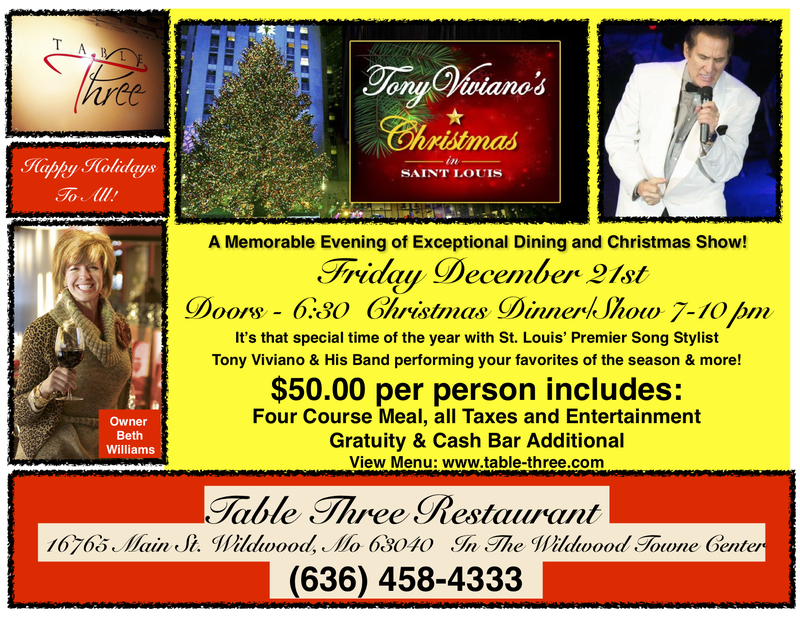 It doesn't stop there; Tony is far more than a lounge singer - he is an outstanding entertainer! Tony interacts with the crowd in a warm and personable way, captivating each audience with his music and humor. His style, delivery and personality have gained Tony and his band a huge legion of followers over the years. Tony has even been called a 'St. Louis Legend' after some of his past performances. But even Legends must keep up with the times. 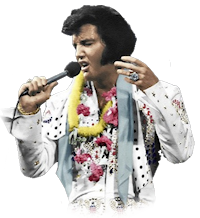 To that end, Tony has added selected rock numbers to his repertoire, and has also incorporated many of Elvis Presley's jazz renditions in a tribute to The King. 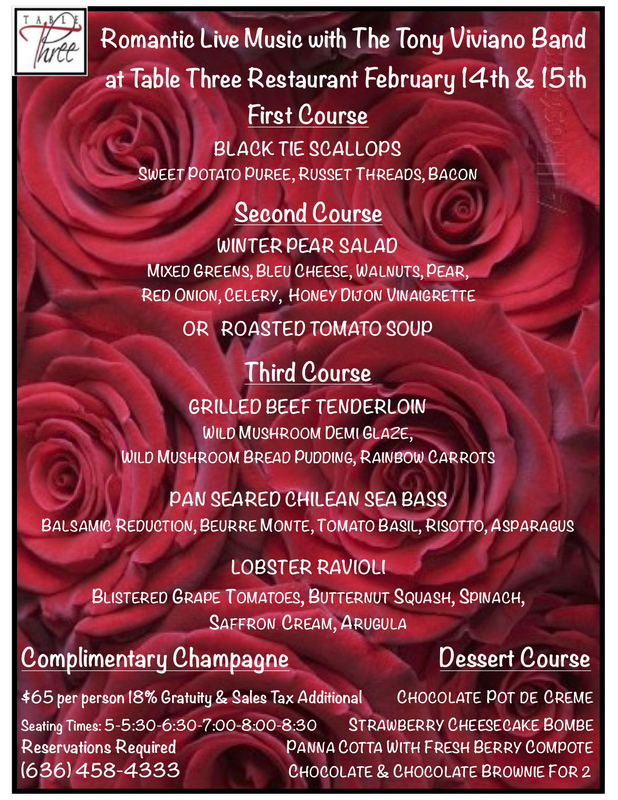 Whether performing at a supper club, wedding party, black tie fund raiser, corporate event, or just a gathering of friends, Tony and his band deliver a variety of music unlike any other group. Tony has performed for a vast range of audience types and ages, always using his unique musical style and warm personality to charm his listeners and gain even more fans at each appearance. Tony's band, "The Musical Expression", consists of a select group of talented and gifted musicians; the accompaniment can range anywhere from a single pianist, to a small combo, to the "Tony Viviano Big Band" of 22 pieces, always tailored for the occasion. 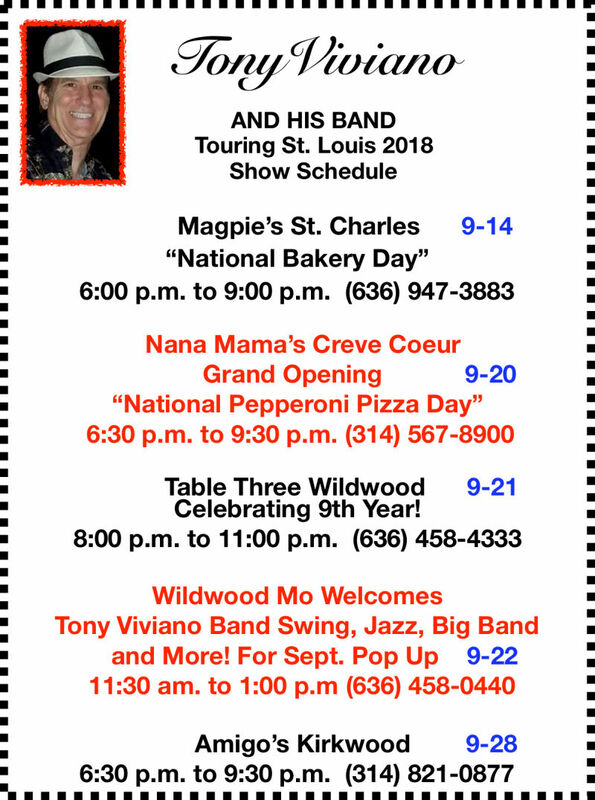 Tony and his band have performed at Rams games in the Edward Jones Dome, country clubs, cocktail lounges, fine restaurants, wedding ceremonies and receptions, fund-raisers, dinner dances, corporation events and company picnics both in the St. Louis area and across the country.